I remember the first time I was ever scared. That might seem like a strange statement, but it was the creatively creepy words of one man that gave me the first scare I can remember, triggering my interests in the bizarre, and thrusting me into a life filled with weird wonderings and freaky fascinations. One of the earliest collection of books I remember reading, or having read to me, were from R.L. Stine’s Goosebumps series. It might sound strange that I read these tales so early in life, considering Stine’s collective works are spooky stories designed to frighten, but my parents supplied them for me, so I indulged. And while I might not remember the exact first book I ever read, I do remember my first scare, and it was provided by R.L. Stine. In fact, most of them were. I remember the cursed camera and the horror it created in Say Cheese and Die! I remember the spooky Halloween mask that became a part of whoever put it on in The Haunted Mask. And I remember the ghosts of children wandering the halls in Welcome to Dead House. While these don’t exactly have the same bedtime story appeal as Goodnight Moon, for some reason stories like these are the ones I remember begging my parents to read. Lucky for me, they obliged. As I grew up and moved from Goosebumps to the more mature Fear Street books, my love for Stine’s writing grew. I have yet to find a series I’ve enjoyed more than that one. 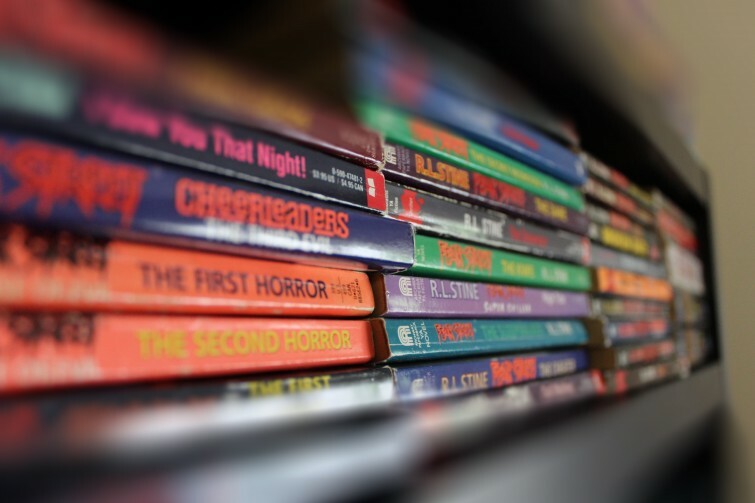 There are hundreds of Fear Street books, and I’ve had the pleasure to read almost all of them. They take up the most space on my bookshelves, and are the primary reason why I frequent used book stores and library books sales. When I find an old Fear Street book at a yard sale or bookstore, pages bent and dog-eared, cover tattered and partially torn off, I buy it. Cover to cover, these books are not only filled with the creatively creepy stories from the mind of R.L. Stine, but they are filled with the memories of all the people who’ve read the stories over the years, being frightened, entertained, and becoming passionate about such an interesting genre. And now, as a 22-year-old horror-genre enthusiast, I can’t seem to get enough scares. I live to see that new scary movie in theaters on the opening day, I count down the days to Halloween, I inhale creepy literature, and I probably annoy people with my claim that every place I step foot inside is haunted. I’m absolutely fascinated with the supernatural and all things slasher, and that’s totally accredited to R.L. Stine. For my 21st birthday, my boyfriend gifted me Red Rain, Stine’s adult novel. Somehow I got lucky enough to have my favorite author grow up with me, supplying varieties of content for my every age. So, for me, thinking about R.L. Stine surely reminds me of my childhood, but not only that. His writing has graciously never left my side as my tastes in the horror genre have changed over the years, and never left me alone whenever I needed inspiration, entertainment, or simply a great scare.